For the 10th consecutive year, we have assembled a panel of critics from all over the country (and representing a wide cross-section of musical tastes) to help us identify the most significant faith-inspired releases of the year. It’s one of our absolute favorite traditions. The voting process was difficult because there was simply SO MUCH good stuff to hit our earbuds. While it’s somewhat easy for one person to make their own personal “best albums” list, this list contains the opinions of multiple panelists, so the end result is a community reflection. And we invite YOU into the discussion below (look for your chance to leave a comment and be entered into a drawing). 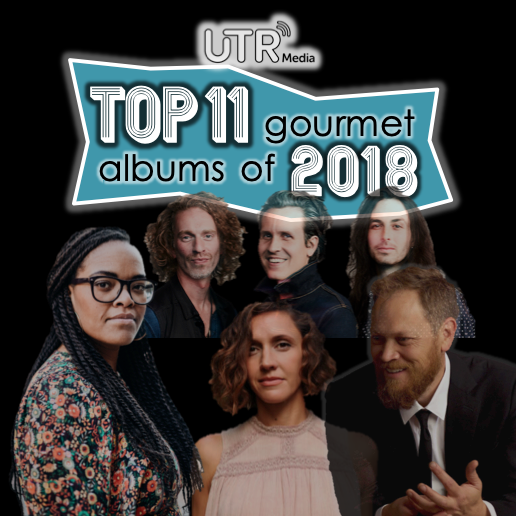 With great joy, it is our privilege to present to you The Top 11 Gourmet Albums of 2018. This is where you come in. We want your feedback about our Top 11 List. Answer either of these 2 questions below, and you are entered into a drawing for a prize pack honoring our #1 Album — including The Painted Desert signed tour poster, signed CD, and brushed steel water bottle. What is your overall reaction to the Top 11 list? What do you agree with? Which albums, in your opinion, are missing? Are there any albums that you’ll try out (or give a second chance) based on this list? Don’t miss Gourmet Music Podcast episode #27 (releasing 1/18/19) which will be an audio countdown of these Top 11 albums. On 1/21/19, we’ll be releasing the full list of ALL the albums cited by our critics panel as one of the best releases from 2018. And before the end of January, we’ll be releasing a special video presentation counting down this Top 11 list. I will definitely take a listen now to Andrew Osenga’s new album. I have many of his previous ones and enjoyed them but have not yet listened to this one. I can’t imagine a 2018 top albums list without Color of Dreams by Derri Daugherty or Bloodshot by The Choir. We were a bit surprised by this too. They were both fantastic, but just too much other good music that they didn’t rank high enough in votes to make the list. Both of these projects will be cited in our upcoming “Top Gourmet Songs of 2018” list. So glad that The Venture by Drakeford made the list! Does it help to make your list if your name is “Andrew/Andy?” They seem to always be there – deservedly so! As usual, there are some albums I’ve heard and some I haven’t. I might have raised Liz Vice up a few notches, though. This is the highlight of my January for the last few years. My Spotify is filled with playlists that begin with “UTR.” Thanks for all you do! Nice list! I like these folk. Andrew Peterson and Sandra McCracken have been in heavy rotation this year. The New Respect’s song “Sun Go Down” gets us up in the morning most days. Love you guys! Thanks for the recommendations. Will definitely check out Andrew Osenga and The Gray Havens after reading this. THey have both been on my list to check out but having read this moved them to the top! I backed three of the top 5 through Kickstarters and never miss an album by AP, so I’d say you nailed those. I’ll give a listen to Christa (to complete 1-5), and likely Sandra and Drakeford next. The last Kickstarter I supported was The Arcadian Wild’s sophomore album, which I’ll wager will have a spot in next year’s list! I already love these albums by Andrew Peterson, The Gray Havens & Audrey Assad (and just about everything else they’ve ever put out). So this makes me realize I need to spend the time to seriously check out the rest of these albums! I love other stuff from Andrew Osenga and Andy Gullahorn, so I’m quite sure those will be fabu as well. Sleeping at Last’s Enneagram series has been phenomenal this year. He released songs 3 through 7 in 2018…and while not a complete album yet (songs 8 and 9 since they are so thoughtfully and carefully crafted (listening to the podcast on their creation is a must), they are so worthy of being listened to. Time for me to fire up Osenga and have a listen! Overall, a good list and I have most of the albums on it. I already listened to the Drakeford album today and like it. I’ll be checking out Liz Vices album next. I really enjoyed her first album. I do have one bone to pick though…(You knew I would!) Wild Harbors should have made the list. Okay, I know they officially only released an EP, but to their supporters and those at their concerts, they’ve been selling the whole album since the Spring. Not only are the songs wonderful, varied and catchy, but the lyrics swing from simple and sweet, to deep and meaningful. Oh…and did I mention the outstanding production on the album by the #1 artist on this year’s list, Mr. Andrew Osenga??! Seriously, I hope after the whole album is “officially” released, that this mistake is rectified by your reviewers next year! Keith, thanks for sharing – and for giving some new music a spin. Yes, your assumption is correct. To make it fair for everyone, we only consider PUBLIC release dates for consideration (the CDs they are selling are even stamped “pre-release”). “Monument’s” official public release is 3/16/19, so it will be up for consideration next year. On the other hand, like you mentioned, some songs have been “officially” released already — and I’ll let you know that TWO of their songs were cited on our upcoming “Top Gourmet Songs” list (coming late January). Once again, an excellent list of albums! Each year I seem to discover someone new. The Gray Havens do seem to get better and better which, considering how good they were to begin with, is something of an achievement. I have only one struggle with the process each year. Several of the albums that appear in the top ten effectively are, or feel like, EPs rather than albums. I think UTR should have a list of gourmet albums AND a separate list of gourmet EPs or shorter albums. Perhaps everything under 40 minutes should be considered an EP. 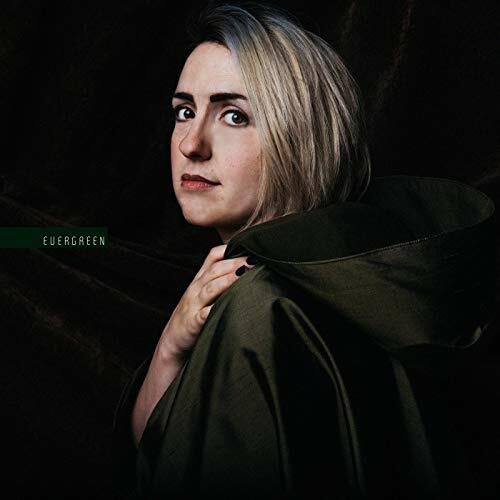 I do not intend to detract from the excellence of albums such as Sandra McCracken’s (as an example), but it seems to me that the gourmet achievement of producing 45-60 minutes of incredible music — such as with honorable mention “I Am Origami Pt. 2” or with the Choir’s should-have-been-on-this-list “Bloodshot” — is on the face of it much more challenging and remarkable than producing 30 minutes of gourmet music. Again, my intention is not to detract from the artistry and excellence in the shorter, EPish albums. I do know the creative and technical processes that go into producing such great music. Well done, UTR! There are some critics on our panel that also really wanted JVD and The Choir on the list, but that’s part of the challenge (and fun) of getting a wide variety of opinions. From the very beginning (10 years ago) we wanted this list to be a collective voice rather than just Dave Trout’s (my) opinion. The beauty of it is that the voting process even evolves as the music interest evolves (i.e. one critic who LOVED the alt-Americana sound that was all the rage in 2013 might not love that approach in 2016). The end result (our Top 11 list) is oddly never the perfect reflection of where any one critic on our panel stands, yet also oddly does a pretty good job of reflecting our opinions as a communal group. It’s a magical experience every year. 🙂 – Also, from experience, I can tell you that the critics definitely seem to favor full-length albums. VERY FEW EPs have ever made our Top 11 list, and usually only for an exceptional project (like ‘Here Comes Trouble’ by The New Respects in 2017). The shortest album on our list this year is Sandra McCracken’s, and it’s SEVEN tracks long – so practically graduated from EP status. 😉 A lot is changing in the music distribution world, so we are seeing more EPs being released these days. So we will definitely consider if we want to do two list (short + long). Thanks for the good suggestion and for sharing such a thoughtful response! So I love your list. I totally agree with your top 5, though I think I might have rearranged them a bit. Liz Vice would have been higher up for me, I love her new album! I haven’t listened to Remedy Drive or Joy Ike, so those will be playing today! Thanks for the suggestions! I will say too, I also would have added My Epic’s Ultraviolet though it is an EP. This is a very solid list with a few exceptions (there’s a couple albums that are incredibly musically boring to my ears)! I was sad to find out that Jenny & Tyler’s “There Will Be A Song” and Brooke Annibelle’s “Hold To The Light” were not included on the list. I felt like each of these artists released the best albums of their careers. “Velveteen” and “Bigger Than Your Box” are my two favorites on this list. They are both solid 5 Star albums in my honest opinion. Thanks as always for helping me to discover new, fresh and important music. 10. Dave Barnes – Who Knew it Would Be So Hard…. I have listened to and enjoyed Andrew Osenga’s album, but don’t own it yet. And I want to give Andrew Peterson some time as well. Really good list. I’m going to spend some time revisiting many of these…. maybe featuring some on an upcoming Spotify playlist. A couple of these were on my personal list as well. And several of them would have made my Top 25 list (if I was allowed to choose that many). #5 on your list was only released to backers (publicly releases on 2/1/19), so that will be under consideration for next year’s list. We really enjoyed listening to this great countdown of music! Our three favorite artists were your top three albums! I have been a fan of Andrew Osenga’s since the Normals, and I was a Kickstarter contributor for this album. 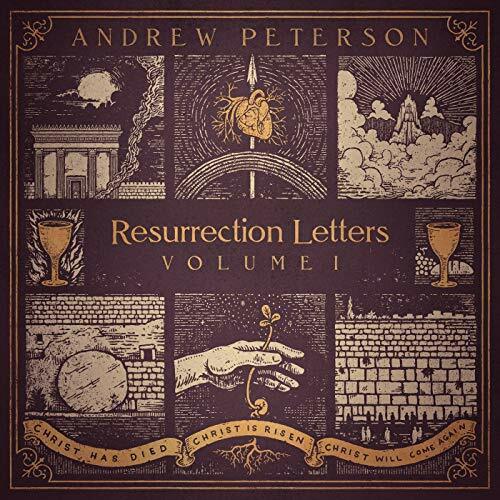 We will definitely need to get Andrew Peterson’s albums and catch up on the earlier ones. And I plan to check out Remedy Drive as well. Thanks again! Loving the list. 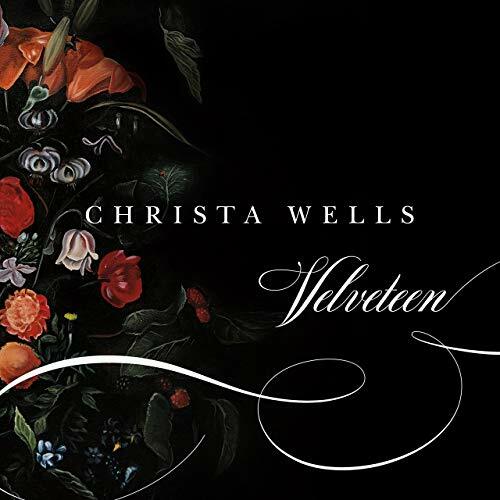 Christa Wells has a great voice! I’ll check out The Gray Havens for sure. I’d loved to have seen Jeremy Ryan’s Into The Light album make the list. One of the few genuine Rick albums out last year. We owned 9 out of 11 albums prior to seeing this list (missing #6 and #9). We may have to “remedy” that and buy those last two (see what I did there?). We always enjoy this list, it’s such an affirmation of all the beautiful art being created out there! Really good list. The top three especially are solid releases that I really enjoyed. Chris Renzema and Greg LaFollette had released that could have been contenders for this list. will be looking into Andy Gullahorn! Yes! Agree that both the Chris Renzema and Greg LaFollette albums are really fantastic! They both appear on our “All Cited Albums” list on this site… and the “Special Menu: Critics Picks” Spotify Playlist. Great podcast. 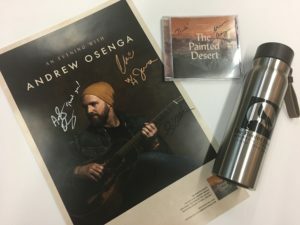 Followed Andrew Osenga for a long time and was happy when the new album was announced and that it got this recognition! 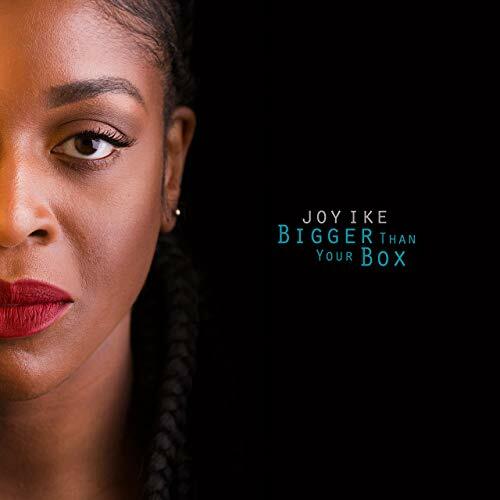 My favorite album ended up being Joy Ike’s. It just sucked me in and has been my go-to album now for a couple of months. I would like to spend more time listening to the albums by Andy Osenga, Christa Wells and Gray Havens in order to appreciate them. This year’s list seems particularly good. I’m excited to see my three favorite Andrew music artists (Osenga, Peterson, Gullahorn) make this list! Well-deserved! I’m going to check out Sandra McCracken’s album thanks to this list. 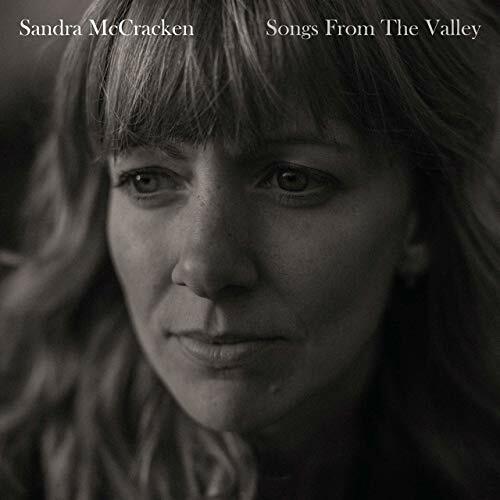 Sandra McCracken’s album is very similar in it’s healing effects. She’s been through such dark times, and it’s such a testimony to God that she’s able to write these songs and stand up sing His praise. I’ve been so grateful for this album. It’s definitely in my top 5 of the year. I’ve listened to the albums, “Save Me”, “Evergreen” and “She Waits.” But I’ll need to listen more to let them soak in. 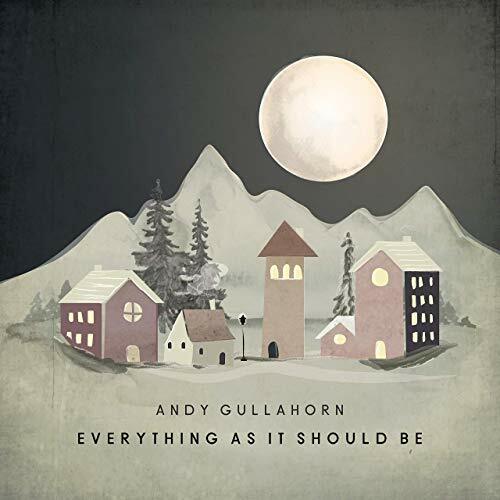 I’ve enjoyed Andy Gullahorn’s new album as well as Andy Peterson, but they’re still working their way into me. I’ll definitely be looking into Joy Ike, Remedy Drive and Drakeford as I’m not familiar with their work! Great list. I Kickstarted a few of these albums and they turned out great. 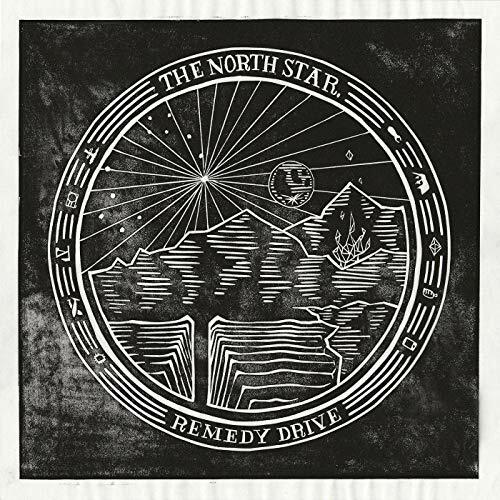 Remedy Drive is a band that I appreciated even more after seeing the live like Burlap to Cashmere. 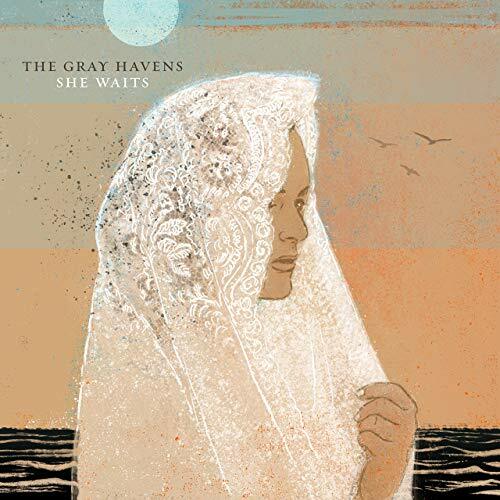 I am looking forward to seeing the first show on the Gray Havens tour Thursday night. This year’s list is one of the best yet. 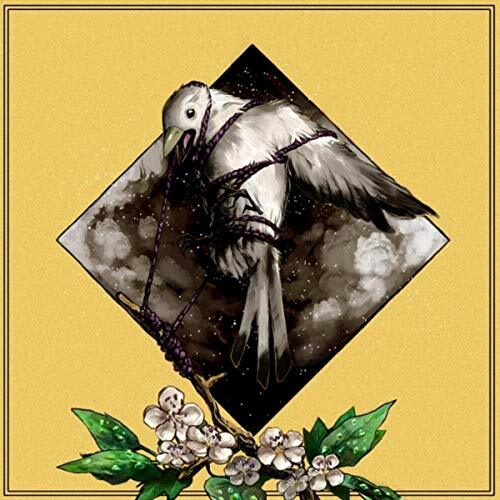 If I was forced to choose on that might be missing, I would have to say AWOL by Kevin Max. Keep it up UTR! I remain impressed how well you distill what was great in any given year, and this year is no exception. I usually can’t settle on my favorites until well into the next year.. this year, I still have about 30 albums I have yet to even listen to once, let alone digest (including Drakeford and Joy Ike). I will be adding Evergreen back into the rotation, since it didn’t grab me on first listen, but it’s place on your list suggests I missed something. I do agree with several earlier posts about being surprised not to see Bloodshot or Color of Dreams, both of which have been helpful to me and have stayed in my player all year. While only an EP, and probably not qualified as new songs, the Resurrect My Love EP (White/Garrells) was one of my favorites as well. A couple more still in my to review list are Jenny & Tyler’s There Will be a Song and Tow’rs Grey Fidelity. Thanks again for keeping our collective attention on such good and beautiful music all year long! I was as surprised as Shawn McLaughlin that neither Bloodshot nor The Color of Dreams made the list, but that Altar Boys’ No Substitute was absent is surprising. A shout-out to Ry Cooder for his work on The Prodigal Son should have been made as well. That is Christian roots music for the “none” generation. I’m also deeply confused. The photo at the end of the article shows a CD of Painted Desert, yet I have been unable to find one and there is no way I’m paying for a download of the album. I always enjoy the lists that are a mix of ones I already know and then the new-to-me titles. Gives me something to look forward to! Thanks for pulling this together every year. I’ll be working my way through all the music on this list. It’s an excellent resource for finding great artists I would otherwise miss. I was only familiar with a handful of these albums before listening to the podcast. Thanks for your good work, UTR! I completely agree with albums 2, 3, 4, 6, & 8 being in the Top 11!!! I’m not very familiar with the others so I can’t offer my opinion on them until I spend some more time with them. I’ve been loving AP’s Resurrection Letters since I got it, and the songwriting of Andy G still leaves me shaking my head in wonder. I’ll make an effort to hear several of these from the list, but I will most DEFINITELY be checking out Andy O’s project. I can’t believe I missed that he had put out something last year. This is why I need UTR in my life!!! Thanks for continuing to provide this list and the honorable mentions! A great list. I especially agree with # 1 and #2. 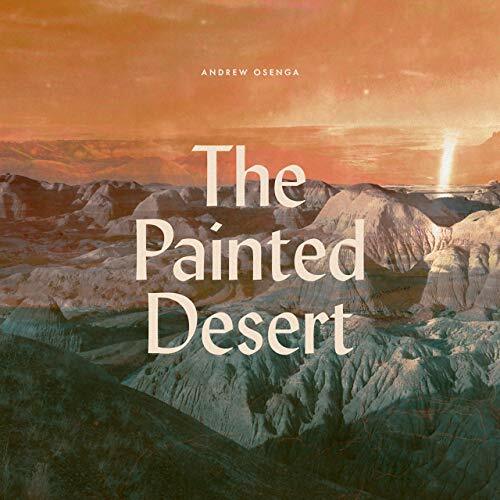 Andrew Osenga´s new album is both – haunting and full of hope. And Andrew Peterson´s is a great record too with some true gems. I also liked Aaron Strumpel`s “Mighty Refuge” and Matt Maher´s “The Advent of Christmas”. For me they would be in #6-12. It’s time to announce the winner of our “Painted Desert” contest – exclusive to the commenters of THIS post. We drew one lucky winner out of the hat (OK… not an actual hat… we used a random number generator) — and the winning commentor is….. John Urban! w00t! John… we are shipping you a signed tour poster, signed CD, brush steel water bottle, limited edition booklet, plus a couple of other surprises. Thank you to everyone for their thoughtful and passionate engagement. We LOVE talking about good music! !